Check out these little ‘GEMs’ (Geographical Emphasis Meeting) and get in front of a smaller, more targeted audience from a specific part of town. These meetings generally feature 20 to 40 attendees, and are held in Buckhead, Cobb, Gwinnett, Midtown, North Fulton and Perimeter. Since it’s not always possible for everyone to attend major events, GEMs were designed to provide convenient options for all our members to attend professional development programs. Variety is the spice of life for our GEMs, and every meeting features different topics and speakers, and could occur during lunch or dinner! The GEMs are held five times a year and fall on different days during the month. They are held during the lunch or dinner hours. Three minutes of podium time before the speaker begins to introduce yourself, your company's name, and brief mention of the product or service you offer. Primarily this time is for you to introduce the Speaker. There is not time for a sponsor powerpoint and no sales presentation is allowed. This is an opportunity to increase your name recognition, visibility and brand. It is not intended to be a sales platform. 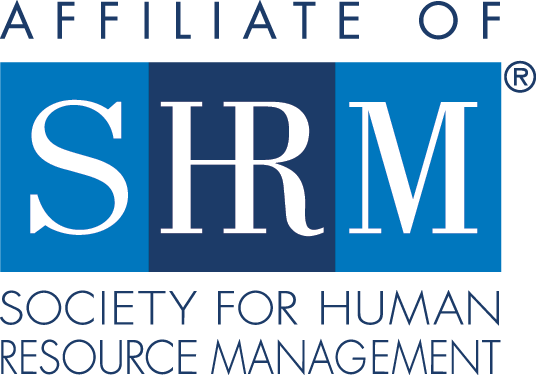 SHRM-Atlanta retains the right to refuse sponsorship to anyone not in compliance with these guidelines or to anyone about whom we have received member complaints.